According to the American Diabetes Association, 25.8 million children and adults in the United States have Diabetes, and another 79 million people are considered Prediabetic, which means they meet some of the criteria for having Diabetes. 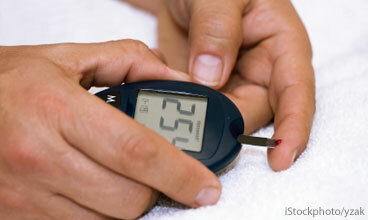 Type 1 Diabetes results when the body does not make insulin, the hormone that regulates blood glucose. The vast majority of afflicted Americans, however, have Type 2 Diabetes in which the body makes insulin but either doesn’t produce enough of it, or doesn’t use it properly. The good news is several apps are available that help you manage the disease by tracking things like blood glucose levels, insulin dosages, weight, carbohydrate intake, exercise and more. 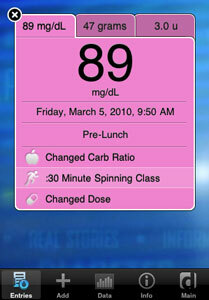 Full of rich content from dLife.com and dLifeTV, dLife Diabetes Companion for iOS is packed with Q&As and video on virtually any subject involving Diabetes that you can imagine, a food search and recipe database, as well as a robust area for tracking things that can be viewed using a myriad of reports which can be emailed to anyone. This iOS app adds water intake to the long list of metrics it lets users record, has a clean look, integrates with Twitter, and gives the option of keeping data safe with a passcode. Users consistently give Diabetes Buddy five-star reviews. Like other iOS apps mentioned here, this very popular option lets users log various measures but also allows them to sync their logs to glucosebuddy.com where they can view data history for free. It also integrates with Calorie Track for faster logging of food intake and exercise. This aptly-named Android app is highly rated by users because it allows them to track typical Diabetes measurements as well as blood pressure and pulse. You can also make multiple entries simultaneously and export data to share with others. This Android app also lets users log a long list of measurements including HbA1c, a hemoglobin that measures blood glucose over time. Glucool displays data in easy-to-read reports that reflect stats at a glance, as well as advanced graphs and charts that show the evolution of blood glucose values. Users can send summaries to others. Can this be used on the ipod as well? Great list! 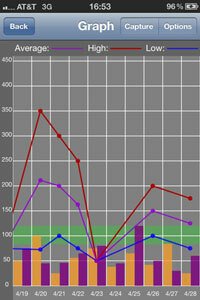 Here’s a new app I’ve been using - simple but comprehensive. Is the App DMEasyTrack any good? https://play.google.com/store/apps/details?id=com.ps.dmeasytrack&hl=pt-PT , does anyone knows if its any good? it looks very clean, should i buy it? Everything seems to be for a mobile phone. Find it so much more convenient to use on my desktop. I confess that’s where I am a few hours after eating when I measure things. Christina, do you see a paper cut as time to test your blood sugar? Naturally, I’d be delighted if you share this list on https://www.techlicious.com/guide/best-free-apps-to-help-manage-diabetes/ , and/or on social , especially because they could really relate. Either way, keep up the great work Christina!